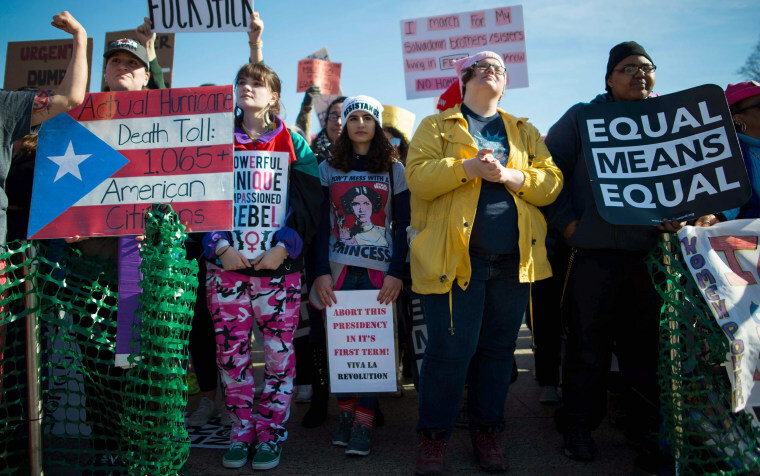 Protesters from LA to New York marched in support of female empowerment and denounced Trump's views on women's rights and other issues. 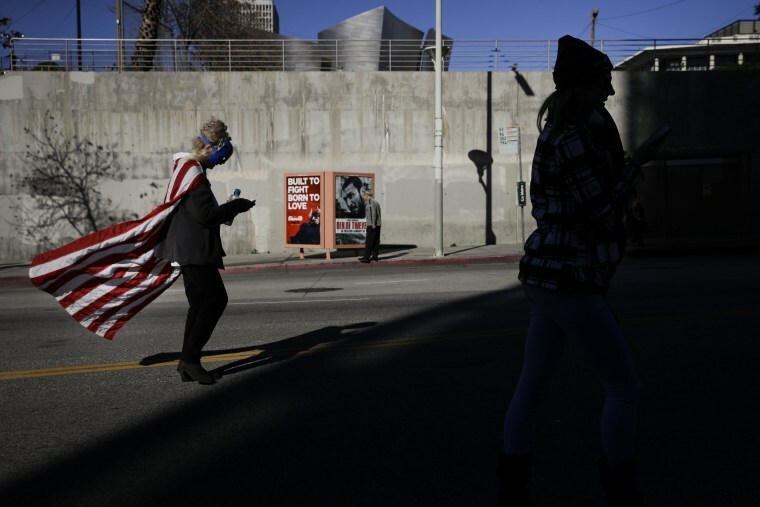 Cheryl Bianchi wears an American flag as a cape while marching along the street during a Women's March on Jan. 20, 2018, in Los Angeles. 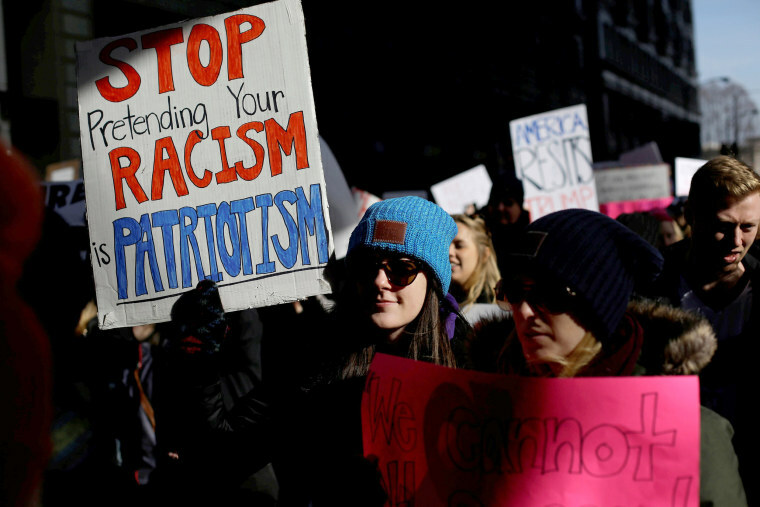 On the anniversary of President Donald Trump's inauguration, people participating in rallies and marches in the U.S. and around the world Saturday denounced his views on immigration, abortion, LGBT rights, women's rights and more. 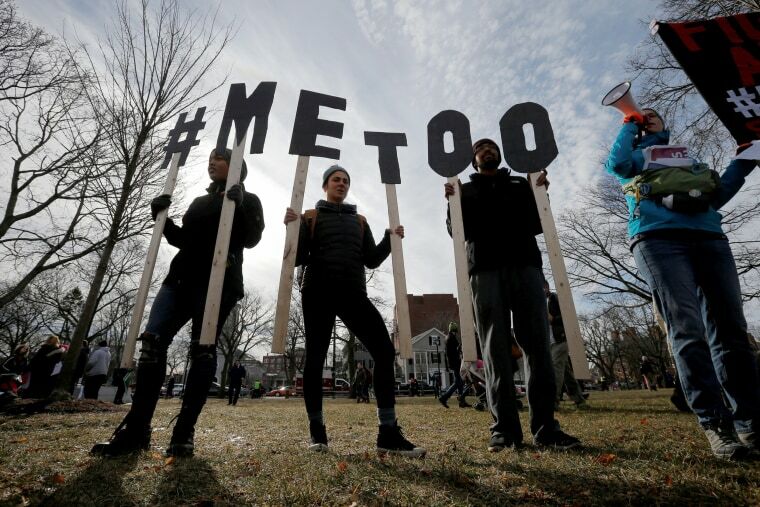 Demonstrators spell out "#METOO" in Cambridge. 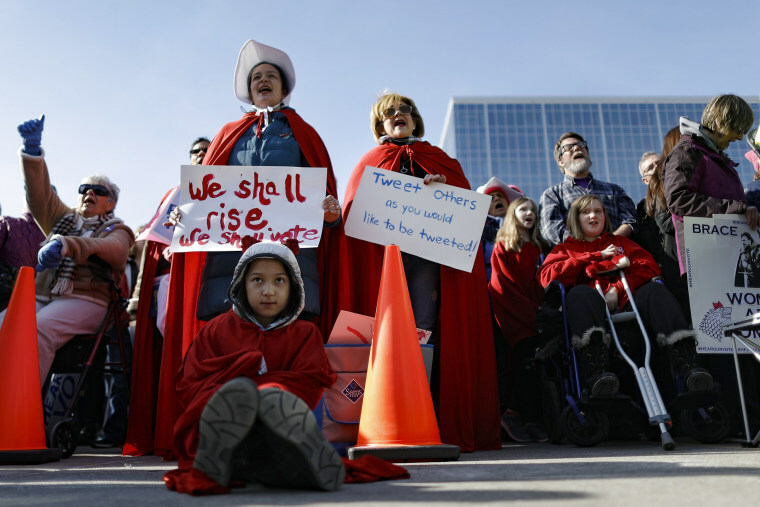 Protesters dressed in costumes representative of "The Handmaid's Tale" rally in Cincinnati. 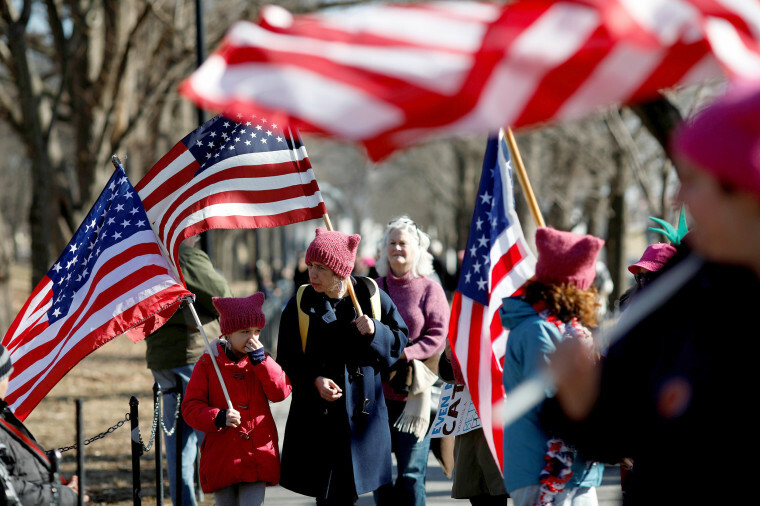 People take part in the Women's March in New York City. 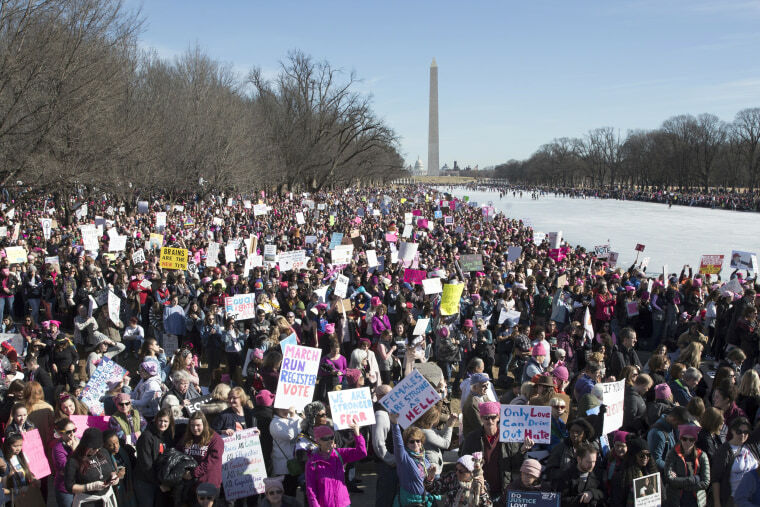 People gather near the National Mall in preparation to march. 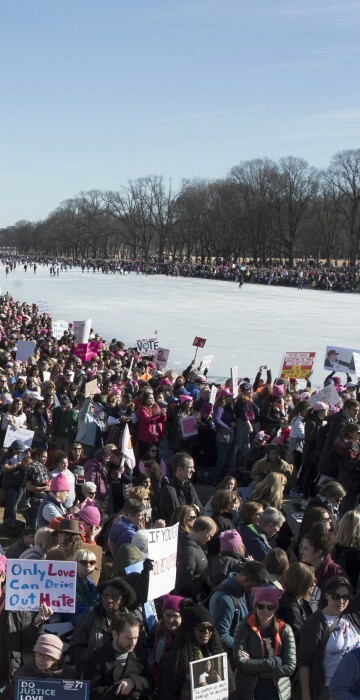 Thousands of people participate in the Women's March beside the Lincoln Memorial Reflecting Pool. Lisa Lucas Gardner takes part on the National Mall. 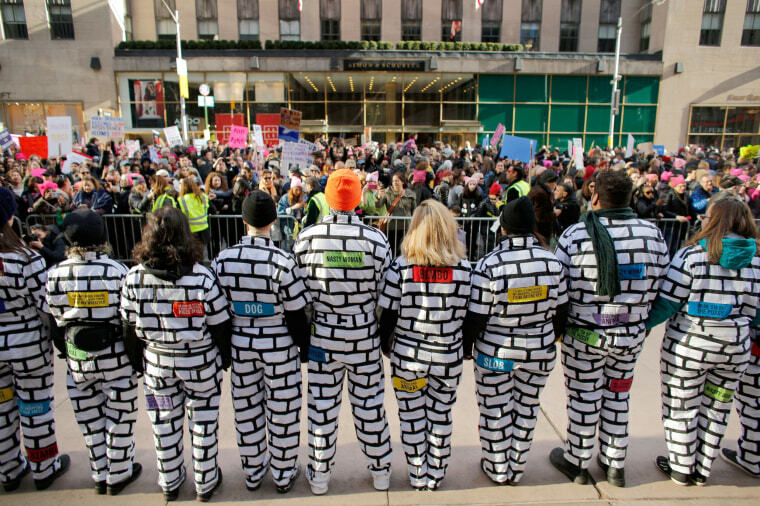 Members of the BRICK x BRICK art installation stand along the march route in New York City. Protesters hold up signs and shout near the White House. 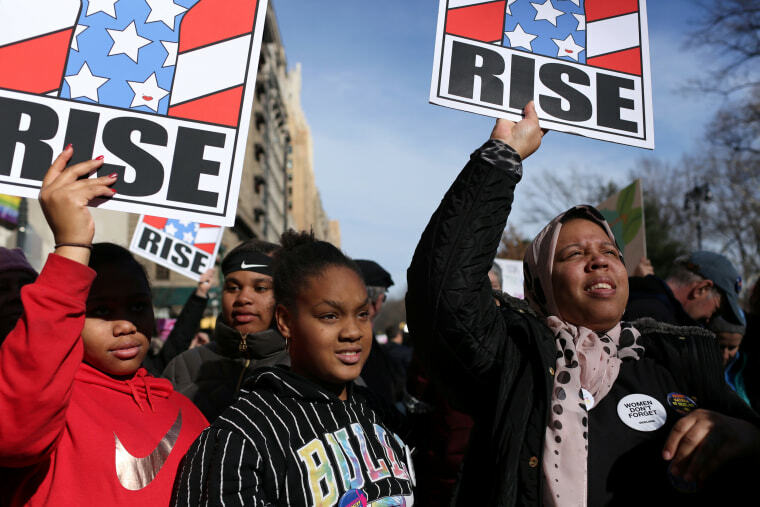 Thousands of men and women hold signs and rally in New York City. 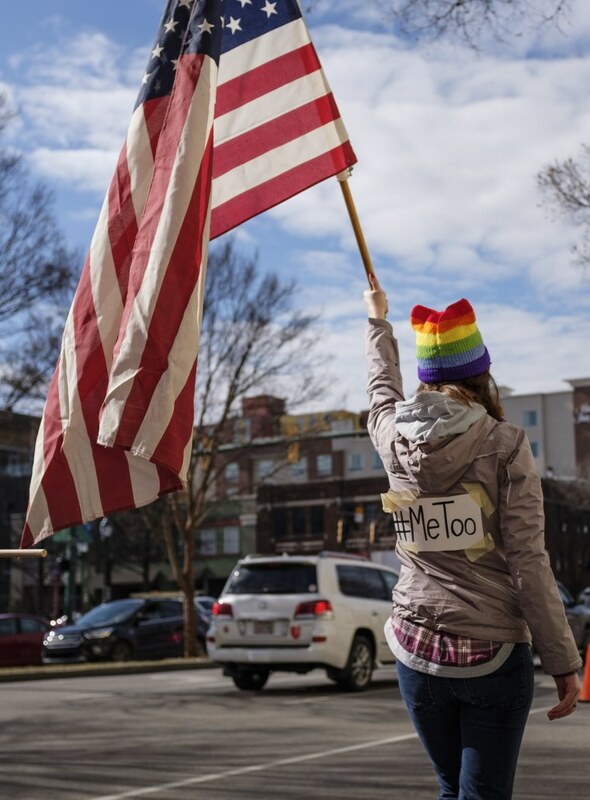 Lillian Kight holds a U.S. flag with the #MeToo hashtag on her back as she marches with other demonstrators along 4th Street in Chattanooga. 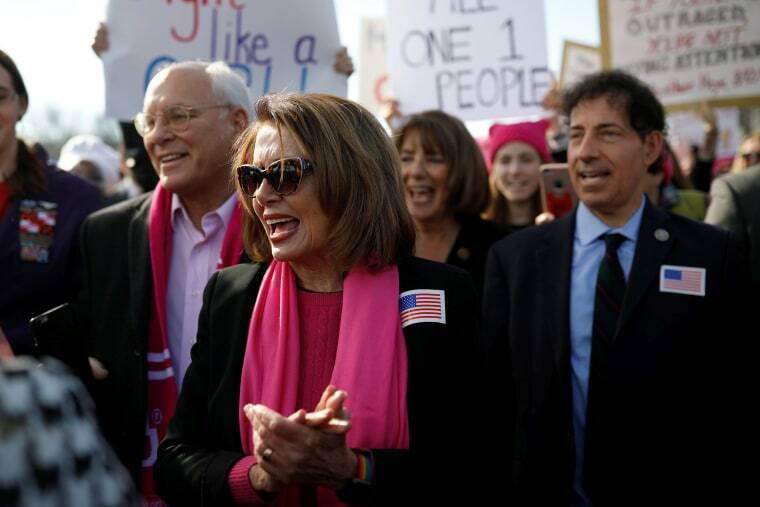 House Minority Leader Nancy Pelosi participates in the march. 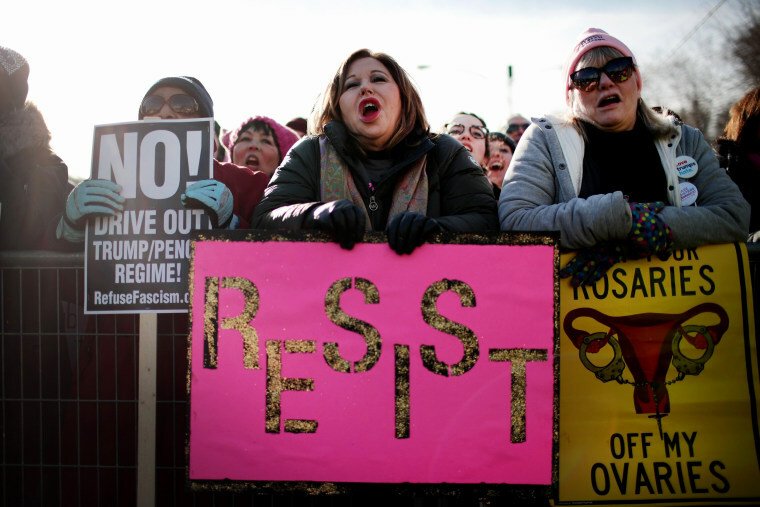 People rally in downtown Chicago, encouraging women to fight for women's rights and social justice through political engagement. 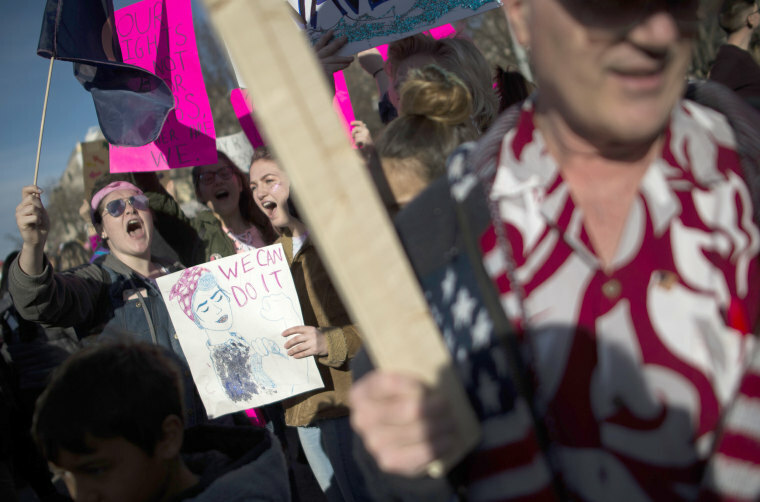 Participants attend Respect Rally Park City to celebrate community victories, honoring the one-year anniversary of the Women's March in Park City. 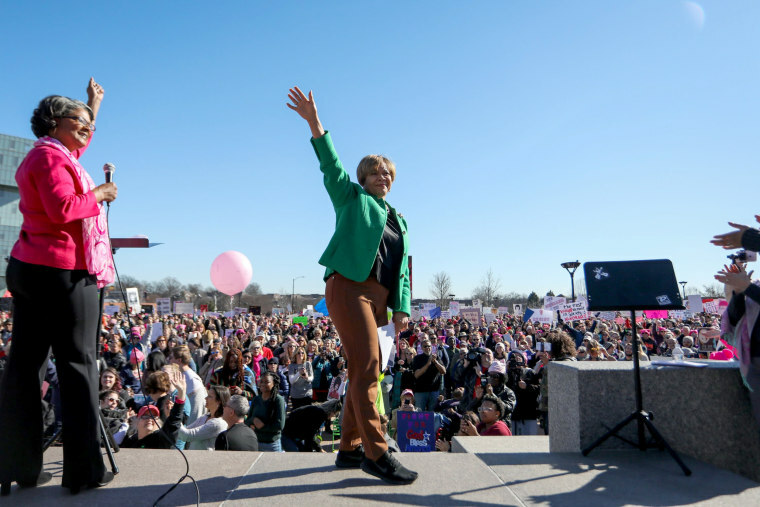 Vi Lyles, Charlotte's first female African-American mayor, waves to a crowd gathered at First Ward Park during the Remarchable Women rally in Charlotte. People gather in New York City for the march. 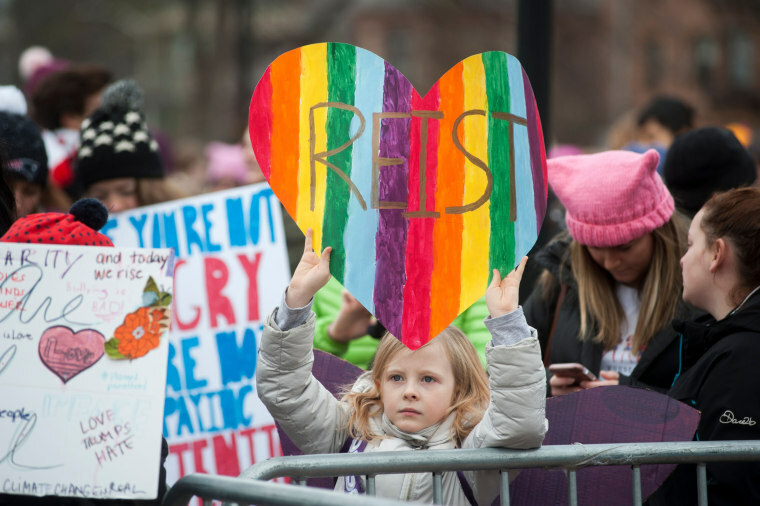 A girl holds up a sign during a rally attended by thousands of demonstrators at Cambridge Common. 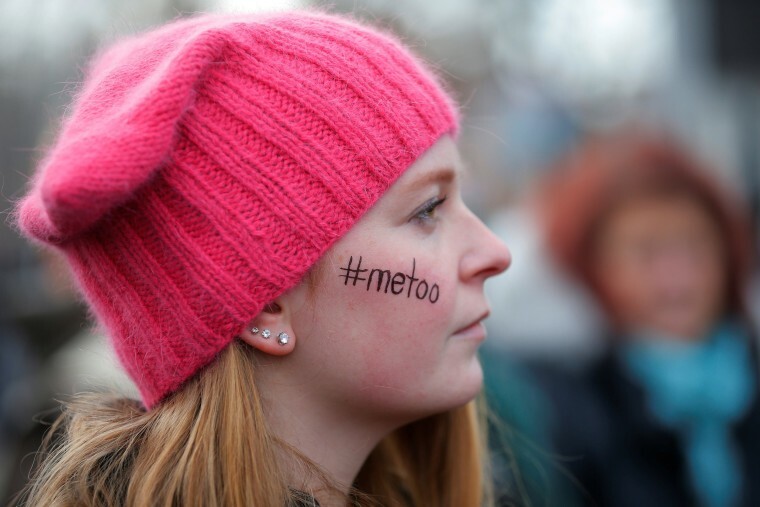 Caitlyn MacGregor, with "#metoo" written on her face and wearing a pink "pussyhat", attends the second annual Women's March in Cambridge. 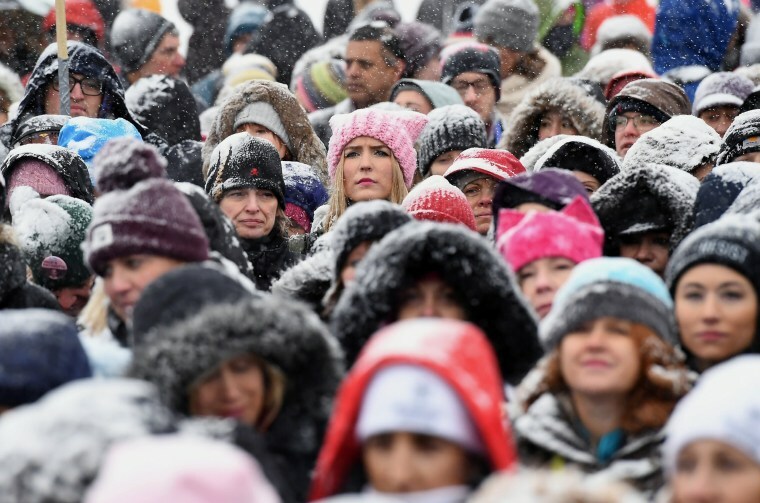 People gather to rally for women's rights in Chicago. 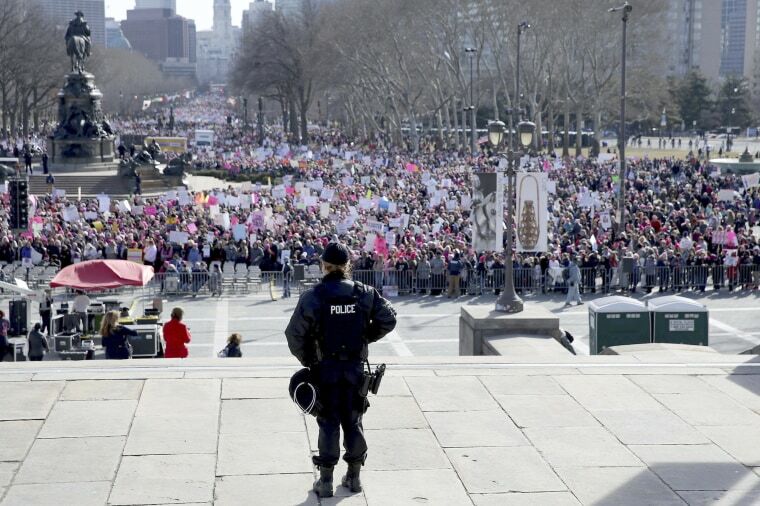 A Philadelphia police officer watches from the steps of the Philadelphia Museum of Art as thousands gather in Philadelphia. 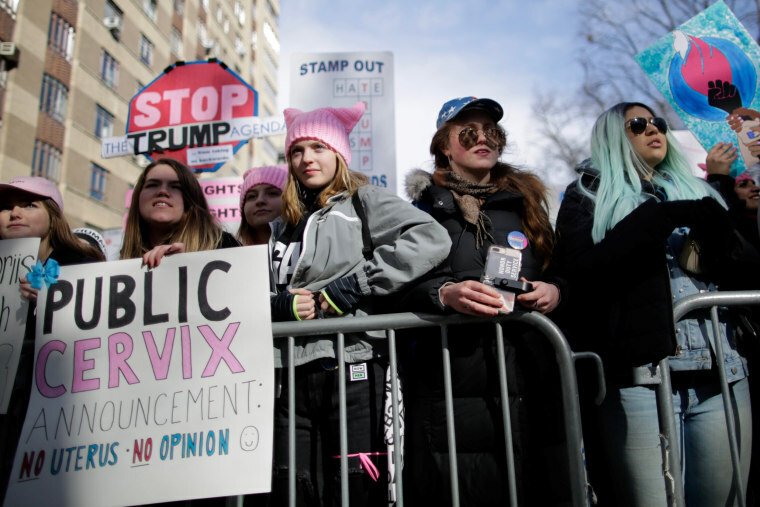 The activists are hoping to create an enduring political movement that will elect more women to government office. 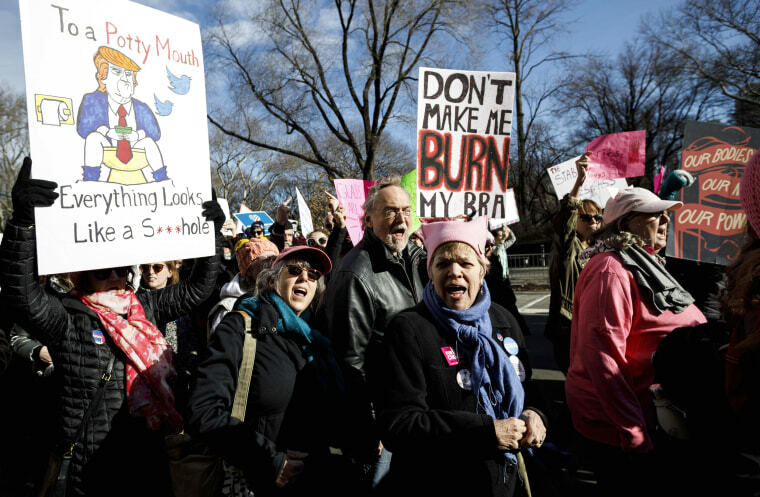 A woman marches with other protesters past Columbus Circle in New York City. 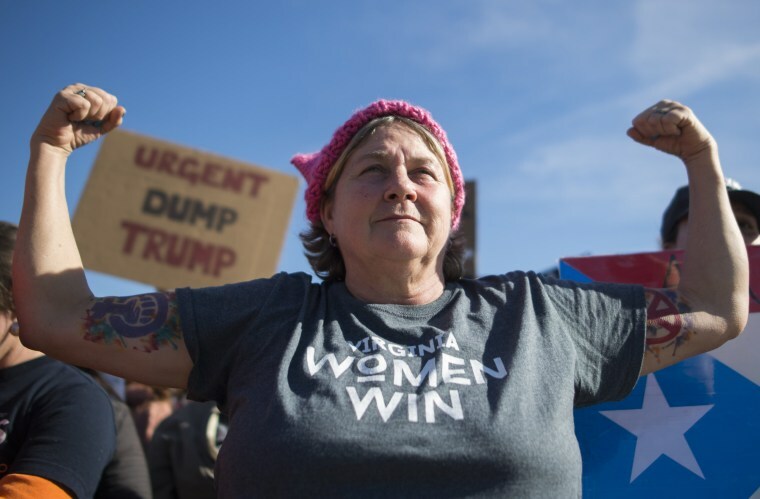 People listen to speeches during the Women's March. 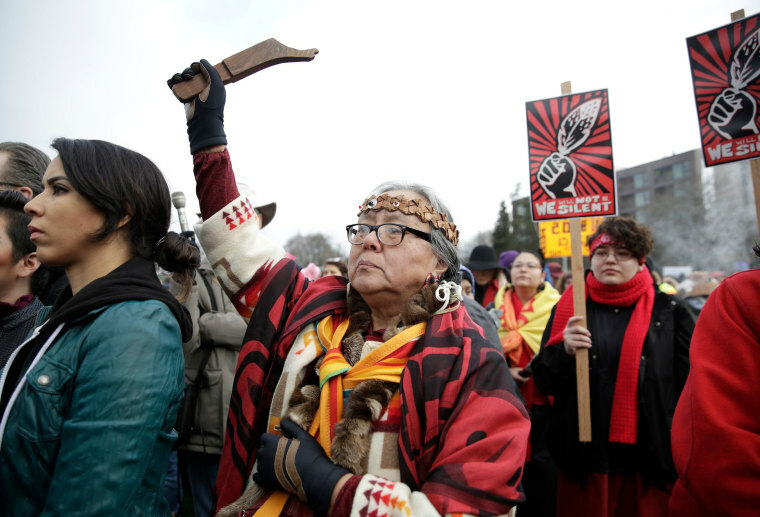 Elaine McCloud of the Chehalis Tribe in Washington state shows her support in Seattle. 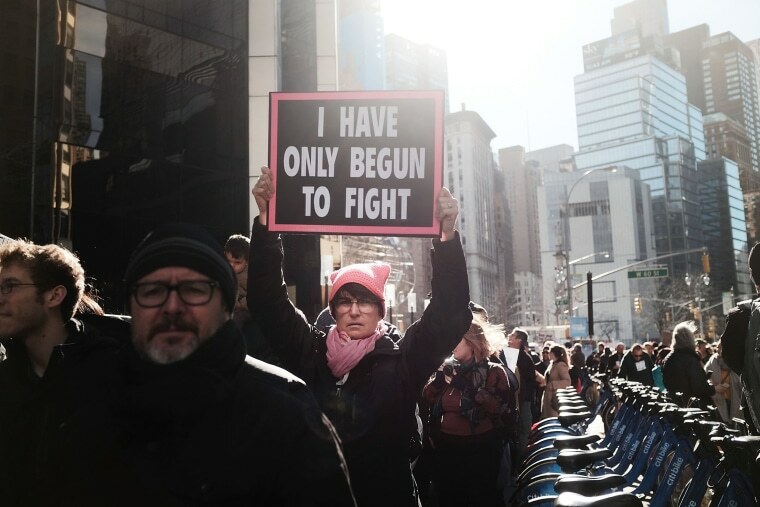 Women hold signs and gather together in New York City. 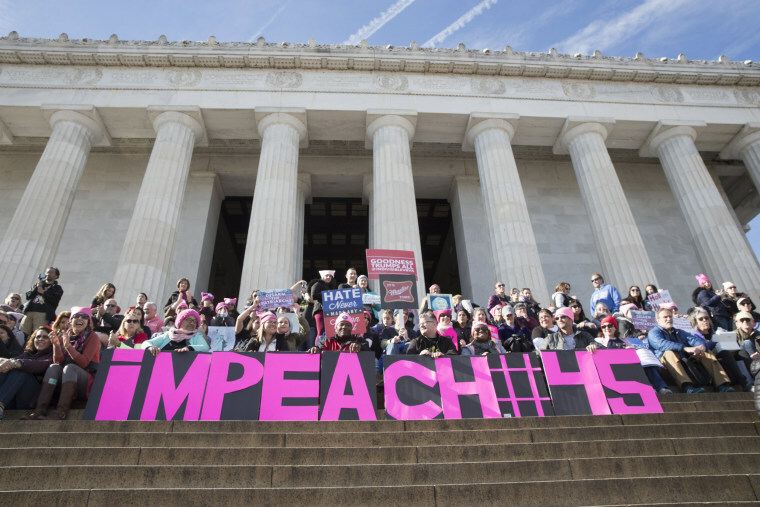 People hold signs that read 'Impeach 45' in reference to President Donald J. Trump, the 45th President of the U.S., at the Lincoln Memorial.